Publisher’s description: As anyone who’s ever read Mark Dapin’s column and features in Good Weekend knows, he’s an immensely funny, acute and vivid observer of Australian life. 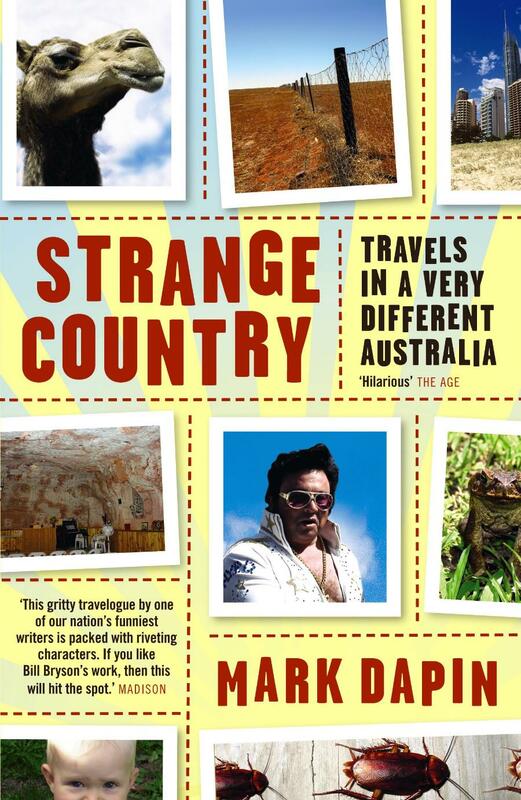 In Strange Country: Travels in a Very Different Australia, he takes us on a journey through a very different Australia – a country that’s eccentric, puzzling, big-hearted, small-minded, nostalgic and sometimes just plain mad. From the last travelling boxing tent and feral urban sewer rats to Vietnam Veteran bikies and the annual Parkes Elvis Festival, his writing illuminates the stranger side of Australian life in a travel book like no other.